Sometime before 1975 the idea of combining the various talents of club members, finding donor cars and securing some support from auto businesses in the community came together. Project cars were started to help raise extra money, over and above the revenues produced from the annual car shows, to go towards special capital projects for what was then the Saskatchewan Council for Crippled Children and Adults. This later became the Saskatchewan Abilities Council and the Draggins main focus became Camp Easter Seal. located at Manitou Beach, Sk. This unique summer camp is operated by the Saskatchewan Abilities Council and runs from June through August. The camp is completely wheelchair accessible and specifically designed for adults and children with disabilities. The camp has a large heated indoor swimming pool, a recreation centre, archery range, a rustic camping site, picnic and cookout areas, a boat dock, patio and swimming area, a wheelchair accessible swing, horse stables, wheeling/walking paths and a beach. The project cars have become a mainstay to supplement the car show revenues and allow the Draggins to continue their donations to their much-loved charity. Ideas, donor cars, and enthusiasm surface with no fixed timing and things start to take shape. 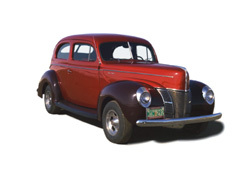 It may be that a member has heard of a good car in the community to restore or a timely celebration is approaching such as club anniversaries. The plans are discussed, a member or two is placed in charge to oversee the project and the idea takes shape. Members share in the many jobs that are required to produce results. Donations of new parts, searching for specific vintage parts, disassembling the donor car and starting the frame-off restoration work. Along with the physical requirements, they tackle the preparation needed to secure raffle tickets and advertising, find time and spaces at the local malls to display the car, enlist their family members and public supporters for ticket shifts and plan the unveiling ceremony of the finished product. The time commitment and work necessary is huge but the Draggin members and their families have grown to work as a team and the success of the raffles bring an amazing feeling of accomplishment for all. To mention a few of the capitol projects that the Draggins have completed at Camp Easter Seal, it must begin with the Recreation Facility where campers can come together for games and crafts. It would take the club two project cars and revenue from four car shows to complete the $350,000.00 Aquatic Centre. It is a fully wheelchair-accessible facility with state of the art mechanical equipment that will meet the needs of the campers for many years. It has been the model for special needs camps in the U.S.A. for similar facilities. A new challenge arose at the camp. Each year the Abilities Council was seeing more children with high medical needs. The staff were qualified to meet the needs of the children, but the facilities were lacking to provide proper medical attention. It needed to be a fully wheelchair accessible facility, with bathrooms, treatment room, central heat and air conditioning and the cost would be around $110,000. The Draggins got busy doing what we do pretty well, raising money. The Medical facility is situated in the middle to allow programming to the campers who sometimes cannot get to the program areas and is done in a style that reflects the character of the Camp. It was officially opened July 16, 2000. As well, they have been building replacement cabins every few years. These are modern facilities that allow the campers to have their needs met and experience all the joys of summer camping. The Draggins wish to acknowledge the support from our sponsors, our families, the general public and car enthusiasts everywhere for it is with their help that we continue to be able to give back to our community. 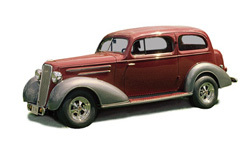 The first Project car,a 1935 Chev was built and raffled in 1975 raising $23,000.00. Project cars were started to help raise extra money, over and above the revenues produced from the annual car shows, to go towards special capital projects for what was then the Saskatchewan Council for Crippled Children and Adults. 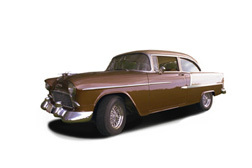 In 1982 Project car #2 was raffled off, a 1955 Chev Belair, raising $30,000.00. Because of all the donations from local business, and the labour supplied by the Draggins members we were able to donate all of the proceeds from every car to the Saskatchewan Abilities Council. 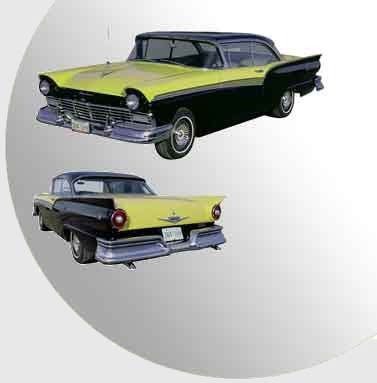 In 1990, Project car #5 a 1955 Ford Crown Victoria was launched and was the first project car raffle to completely sell out while raising $40,000.00. The Draggins, committed to building a badly needed swimming pool at the camp, undertook the biggest project they had done to date. 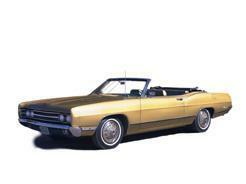 It would take two project cars and revenue from four car shows to complete. 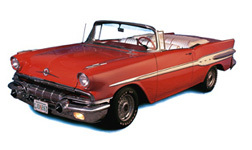 Project Car #6, a 1957 Pontiac Convertible was launched to the public at the Sheraton Cavalier in 1993. It sold out in six weeks and raised $60,000.00 making it the most successful raffle to that date. and finally put them over the top to complete the $350,000.00 aquatic centre at Camp Easter Seal. 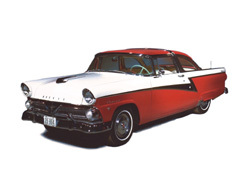 Project #7, a 1957 Ford Fairlane was unveiled for the Draggins 40th Anniversary celebration in 1997 and raised $44,701. With the donation from this raffle combined with proceeds from the car shows, the Draggins have been building replacement cabins every few years. These are modern facilities that allow the campers to have their needs met and experience all the joys of summer camping. Ride has been improved by mounting the rear springs outside the frame. These new Even-Keel rear springs plus wider tire tread, cushion the ride far better. Ford's new exclusive deep offset hypoid rear axle make possible its low to ground dimensions...bringing smoother, quieter operation and longer car life. 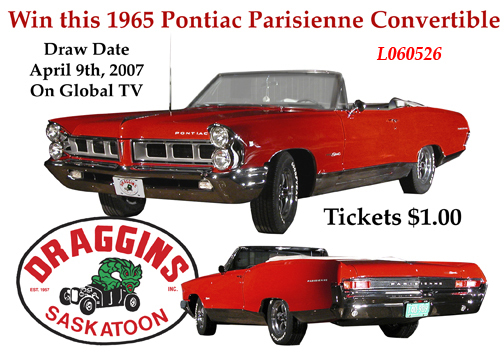 To commemorate the 50th anniversary in 2007 of the Draggins Car Club, they restored a beautiful 1965 Pontiac Parisienne Convertible. It was constructed with the painstaking volunteer work of Draggins Car Club members and generous local automobile parts suppliers. Tickets were $1.oo and every dollar raised was donated to Camp Easter Seal and the Saskatchewan Abilities Council. It was drawn for on the Monday following the car show and we had raised over $65,000 for the charity. The club decided it was time for another project car to raffle to continue the support of their charity Camp Easter Seal. In the fall of 2017 they started work on Project lX with a complete frame off rotisserie restoration. 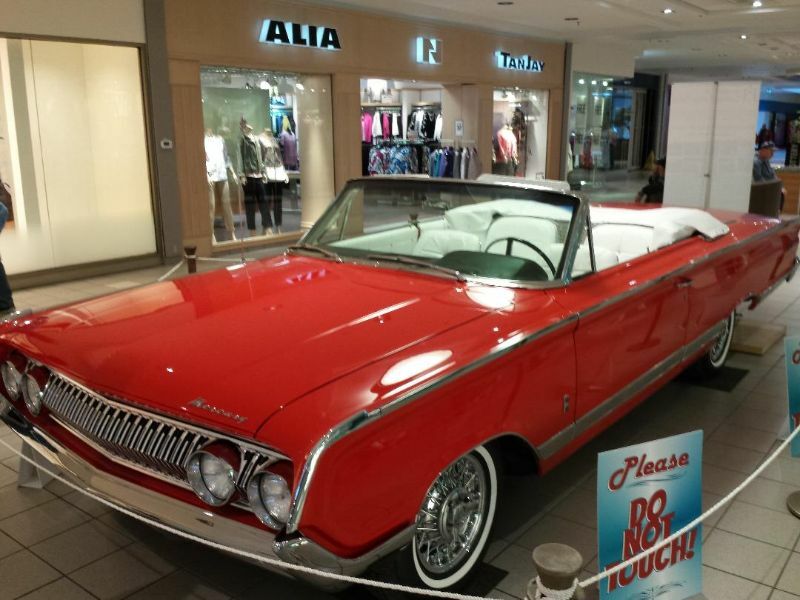 After many hours of volunteer work by the members and with the support of many local auto part stores and suppliers, the beautiful Mercury was completed and unveiled at Merlin Ford Lincoln on March 5 2019. The draw will be televised on CTV noon hour show on Tuesday April 23 2019.